Confetti to fill the shaker was cut using the new Essentials by Ellen Yay dies from glitter paper. The glittery champagne bottle cord is also from the Bottles of Bubbly die set. That great sentiment is from the Cue the Confetti stamp set; it was stamped in vivid Jet Black Archival ink on the card base. The background of this card was inspired from the graffiti in the inspiration photo, by clear heat embossing two of the fabulous sentiments from the Cue the Confetti stamp set, then sponging Tumbled Glass Distress Ink over the background. Then I simply finished the card with some glittery bubbles and "Cheers" sentiment from the Bottles of Bubbly die set, and added some Stitching Lines! Thanks so much for joining me today! Be sure to check on the CLASSroom blog to see another take on this challenge! 12 Tags of Christmas with a Feminine Twist 2017! It's that time of year again, for one of my favorite projects -- Ellen Hutson's 12 Tags of Christmas with a Feminine Twist! You can find all the instructions for my Copic Various alcohol ink background tag over in the CLASSroom. 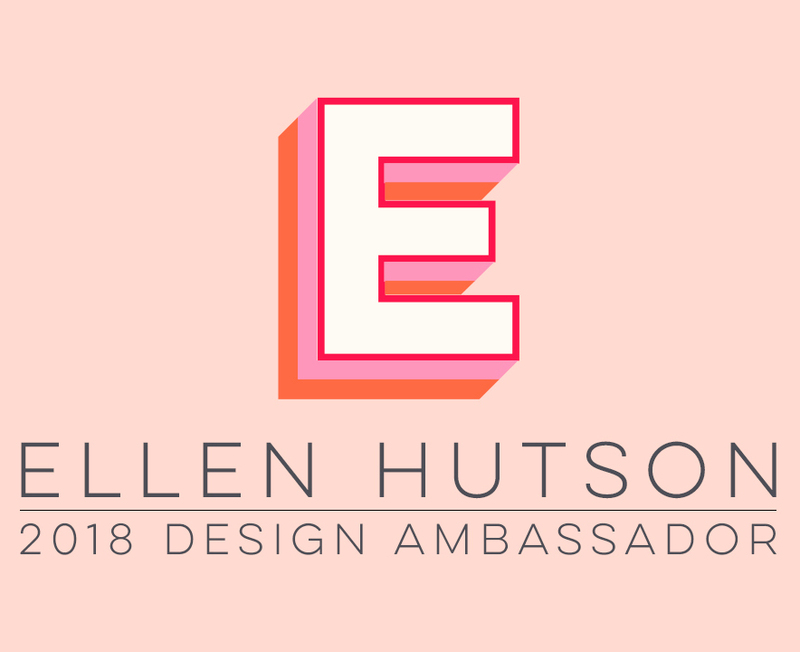 << Simply leave a comment on that blog post and you'll be entered into a drawing to receive a $25 gift certificate to spend at EllenHutson.com! Or if you are inspired to get creating and join in the challenge fun, you could win a $150 gift certificte! You can find all the details here.